​​Real Madrid head coach Santiago Solari has refused to guarantee a starting spot to attacking midfielder Isco ahead of their next ​La Liga encounter. Madrid travel to face Real Betis on Sunday in the league having lost their previous encounter to Real Sociedad, a loss that left them fifth in the league. They had also drawn 2-2 with Villarreal before that, with the silver lining being their 3-0 win over Leganes in the Copa del Rey. 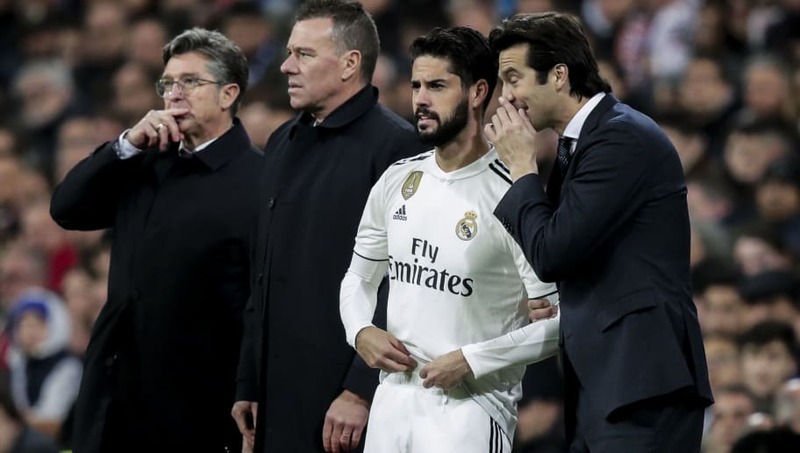 Isco was a substitute in all three of those matches and has started only one match under Solari. Speaking to reporters, as per ​FourFourTwo, he said, "He is good, the same as the other players who have been training. I would love for all of the players to play more, the less enjoyable part of the job is deciding upon a line-up and leaving people out." The Argentine added, "I am not the one who should give advice to Isco, a footballer who has played for many seasons in Spain's top division. He has the experience necessary to know what he has to do." The coach also spoke about teenage star Vinicius Jr being a doubt for this game, saying, "We don't know if Vinicius will travel. The strength of Real Madrid is the togetherness [of the squad]. The positive sign is that an 18-year-old has come in and is doing so well," he concluded. Real Madrid are desperate for points to help them get back within fighting range as they aim to challenge for the league title.